Good place, good location , good value for money, Comfortable apartment. 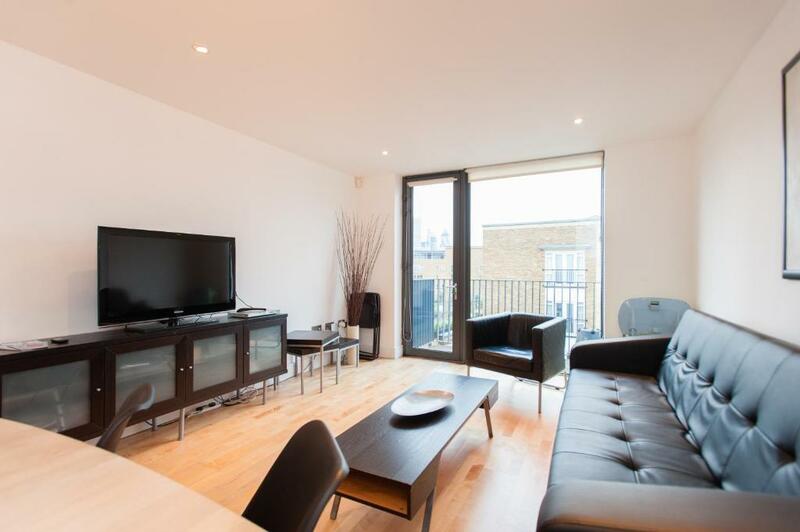 A very clean, spacious and lovely apartment walking distance from London Bridge station, location was amazing! The kitchen, living room, and bedrooms were spanking clean as well. Having a balcony overlooking the shard to watch sunsets was just a wonderful bonus. Klara provided helpful info through website. Donna greeted us upon arrival and was delightful. Loved the location of the property. Apartment was nice, very central, easy access to everything. Beautiful view to London skyline. The location is nice. Close to the tower bridge and underground. There are several bars nearby. The apartment is quite big with all the basic facility. The view of the Shard and London skyline from the Appartment was brilliant -it was lovely to sit on the balcony and relax. The area was residential and mostly quiet but very close to London Bridge and Borough Market. Nice place: 15 min walk and you get 2 Underground stations Tower Bridge, Borough market, HMS Belfast, Tate Modern, the Globe, the Shard. There are a lot of little supermarkets around. The evening walk on Bermondsy street is very pleasant. Spacious apartment. Transfer is a good option. Well equimpment. A hóspede Tijana foi Muito simpática e atenciosa, o apartamento tem ótima localização, com pubs, supermercados e transporte muito perto. A vista do apartamento é muito bonita. Located in central London, the London Bridge Property offers free Wi-Fi throughout. 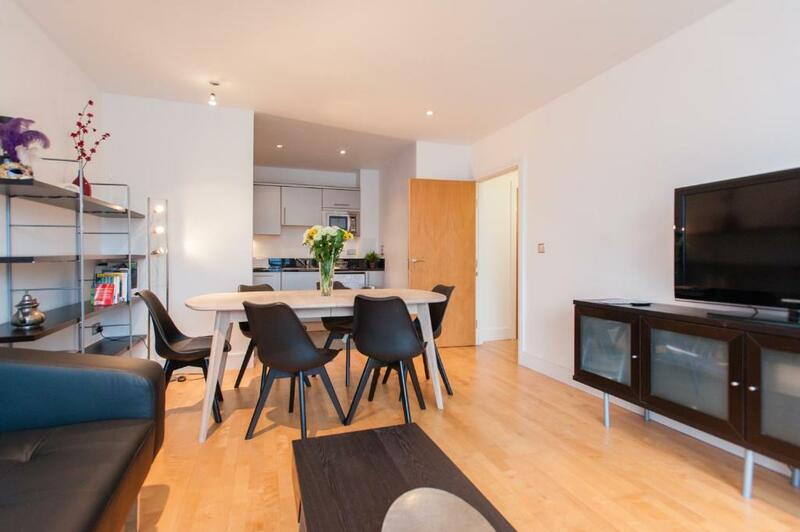 This modern two-bedroom apartment sleeps up to 8 guests. 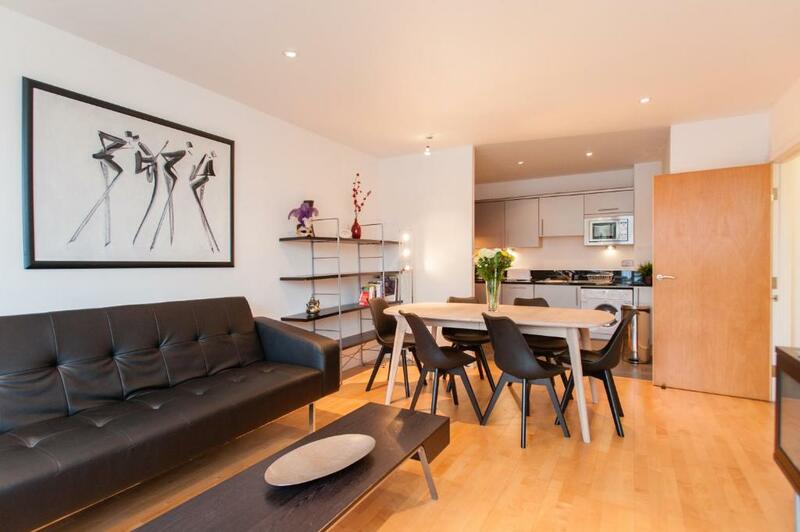 It is just 15 minutes’ walk from London Bridge. The London Bridge Property offers a living room with a sofa bed, 2 bedrooms, and 2 bathrooms. 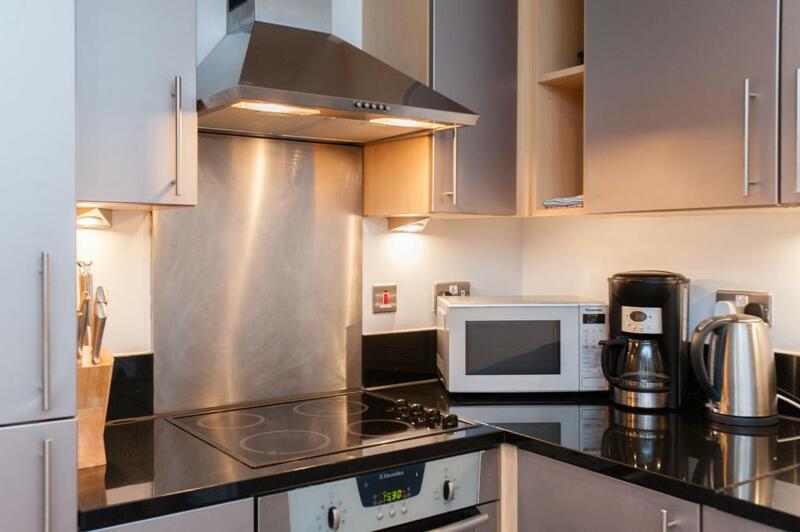 The self-catering kitchen includes a washing machine/dryer, a dishwasher, and an oven. Tower Bridge is a 15-minute walk from the London Bridge Property and Shakespeare’s Globe Theater on the River Thames is 1 miless away. Guests can also visit popular tourist sites, including the Tate Modern Museum and the HMS Belfast Battleship. St Pauls Cathedral is 30 minutes’ walk away and the historic Tower of London is 1 mile from the property. The nearest tube stations include London Bridge and Borough. Guests can also enjoy river cruises towards Greenwich to the east and Westminster to the west. When would you like to stay at Shard View, London Bridge? 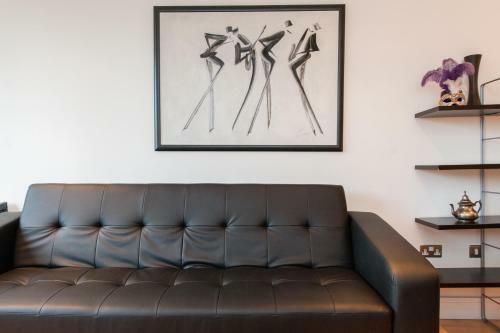 With free Wi-Fi, this two-bedroom apartment includes 1 single bed, 2 double beds, and a sofa bed in the living room. It includes 2 bathrooms. 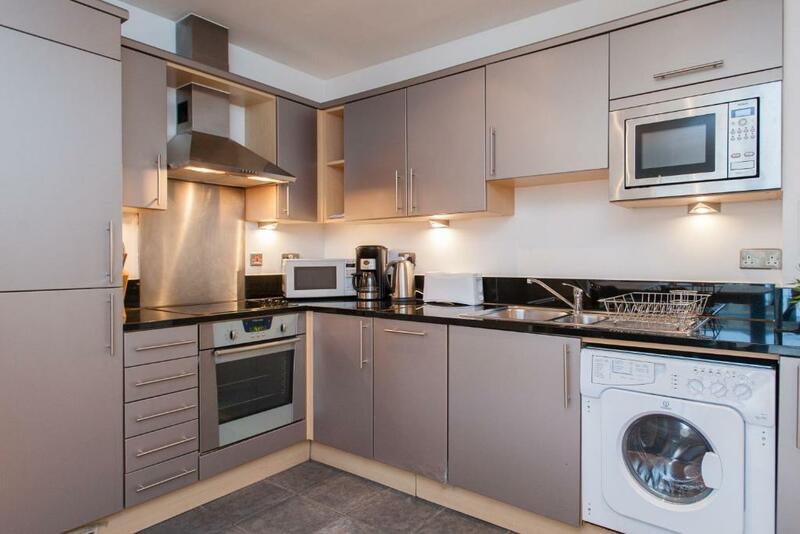 The self-catering kitchen has a washing machine and a dishwasher. 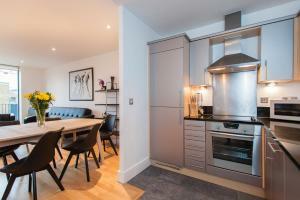 House Rules Shard View, London Bridge takes special requests – add in the next step! Shard View, London Bridge accepts these cards and reserves the right to temporarily hold an amount prior to arrival. Lead guest must be over 18 years of age. The credit/debit card details provided to book will be used as guarantee to cover any damages. Please note that early check-in before 09:00 or after 18:00 is possible, subject to availability, and incurs a fee of GBP 40. Payment is required at check-in. Extra cleaning and change of laundry is available at GBP 100 per visit and will take up to 4 hours. 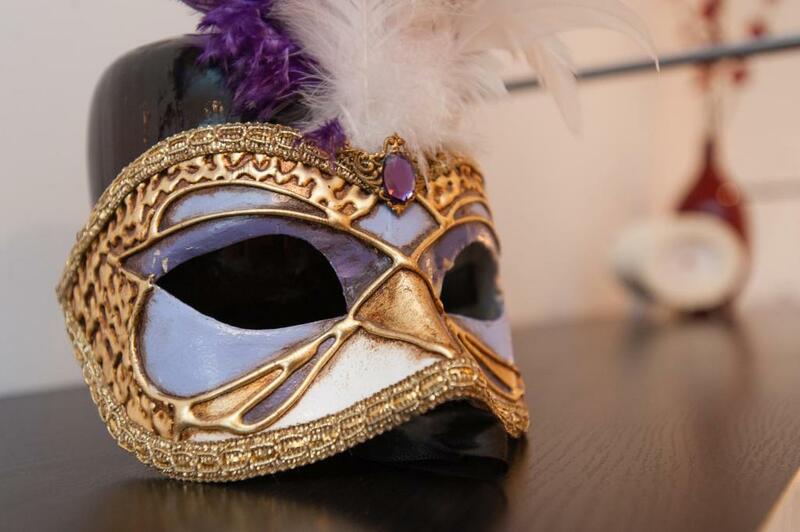 Guests can contact the inquiries clerk by email or phone to arrange this. At check-out, guests must leave keys at the property. Different policies may apply for groups larger than 4 people. Please inform Shard View, London Bridge of your expected arrival time in advance. You can use the Special Requests box when booking, or contact the property directly using the contact details in your confirmation. Collect the key before u go to the apartment as it is 10-15 min walk from apartment. Bed was very uncomfortable in both rooms We had an issue with warm water- lack off it. We were told that something happened, plumer couldnt fix it in 3 days, so we had to use pots to heat water and shower. It was shocking for us, we understand that it happens, the issue was that host was responsive up to certain point and then not. They couldn't find any way of getting us some place to have a shower even we begged them as we had a play to go to.. We were told that director has to make a call of maybe refunding some of the money. We left without anyone even mentioning anything anymore. Very disappointed. 1. The facility is old. The cooking pans are in very poor condition, not in useable condition. The beds are hard. You can really feel the springs on the surface of the beds. 2. The host asked the authorization form which was indicated in the booking.com. However, the authorization form asked all the details of credit card information, including home address, credit card number, security number etc. The authorization form actually gives permissions to the host to charge the credit card if there will be something damaged or if you have a party in the apartment, etc. I really did not feel safe to give such details of my credit card information by emails. Then I asked the host to inspect the apartment with me if the authorization form is absolutely needed. And I need to get the authorization form returned after we inspect the apartment at the check-out point. But she refused. She told me that she can take the cash deposit but later she changed her mind. She asked me to send her a photo of me holding my passport and the authorization form. I felt uncomfortable with such a request. I just would like to book a hotel and it sounds like police handling a criminal. With several rounds of emails, the issues were solved. But at the check-in point, I was still taken a photo holding my passport. I travel a lot and this was the first time I had such an experience. 3. I ordered a taxi through the host and the day before we left I had not received details about the time we can check in, how we can check in, and how the taxi will be arranged. I contacted the host and I was told that the taxi was canceled. I received the apartment number in the last minute. There is a serious communication problem. The arrangement for getting into the appartment changed the day before we left - we were expecting to be met at the Appartment. We were given the address of the appartment - but the actual instructions as to how to get there were actually in an info book in the appartment! The code to open the door was also in this book - we had no idea how to gain access to the actual building and has to wait for someone to come into the building to get in. We may have been advised on earlier e mails - I don't remember, but it would have been helpful to have had all the info on the one text/e mail. Also - there is a dishwasher in the appartment - but take your own T towel if you like to wash cups etc up. There wasn't one there. The staff wasn’t helpful at all . One of the staff made our first day there a nightmare! . A lot of problems inside the apartment- the WiFi didn’t work, some things should be repaired. The ensuite toilet lights were broken on arrival and wasn't fixed despite informing the hosts multiple times. Additionally, the microwave was broken and we couldn't reheat our meals conveniently. Sofa beds aren't that comfy, but they never are. Girls, no mirrors out of bathrooms:) Audibility: two bedrooms sounds like a joke because you hear every sound in the next room and believe, there are a lot of sounds to here even if you are just sleeping - beds squeak toooo much. General impresion that everything around is not clean enough.